Paris is home to some of the world’s most renowned romantic restaurants, so much so that in some quarters it has rightfully earned itself the title of THE romantic city of the world. 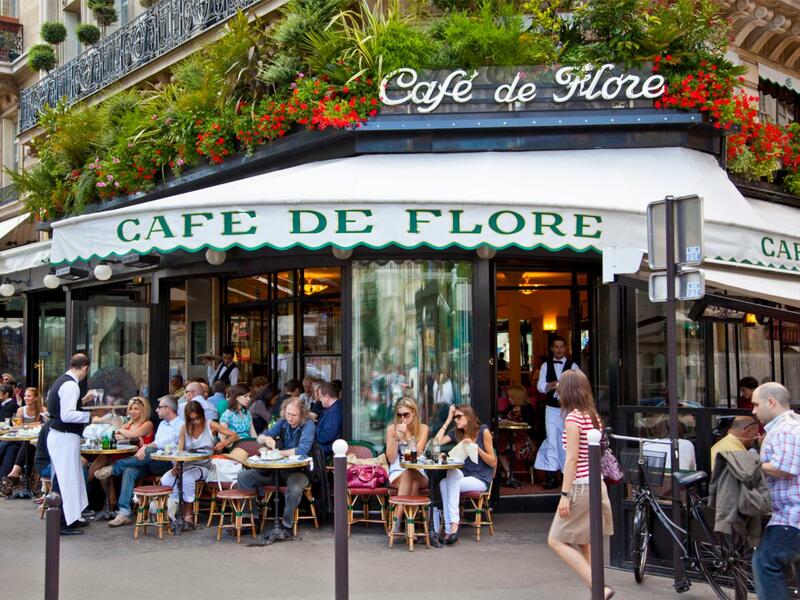 There is no shortage of romantic restaurants in Paris to choose from and holiday makers really are spoilt for choice when they visit. Though there are many more the following restaurants are worth a mention. The Eiffel tower, being the most visited attraction in Paris with up to 60 million visitors per year, offers restaurants worthy of its iconic name. On the first level of the tower is the Le 58 Tour Eiffel which serves traditional French cuisine. This includes French bistro salads made with fatty bacon known as lardons. A poached egg is then served on to the greens to complete the meal. The bacon and leek quiche combines a flaky pastry crust and cheese filling. Steamed potatoes seasoned with butter also feature high on the traditional French cuisine. Others include chicken stew cooked in white wine, pork chops in creamy brandy sauce, beef burgundy and baked custard. Large windows in LE 58 Tour Eiffel give visitors a view of Trocadero area and the elaborate design of the tower. Reservations are best made two weeks in advance. A bar is also available here serving refreshments and drinks. The ambience in the restaurant is both contemporary and rustic making it ideal for getting down on one knee if the moment presents itself. For bookings call 33 (0) 1 72 76 18 46. Le Jules Vernes is the 1 star Michelin restaurant that is located on the Eiffel Tower’s 2nd level. The kitchen is run by the world acclaimed chef Alain Duccase. Scenic views of the Paris city are breath taking from Le Jules. Though it is quite expensive, it is pretty good value for money given both the quality of the food and the view. One can expect gastronomic French cuisine at around $65 for the lunch menu and up to $200 for dinner. There is also an ample selection of fine French wine to help you get in the mood. For your romantic and scenic dining pleasure it is certainly advisable to consider either of the Eiffel Tower restaurants. For bookings call 33 (0) 1 45 55 61 44. Georges restaurant is located at the Centre Georges Pompidou top floor and offers an unrivalled view of the city through its large windows. The fusion cuisine menu provides diners with an exquisite taste of French delicacies. Chocolate mousse is one of the common appetizers that leaves diners asking for more. You can also tantalize your taste buds with chicken breasts wrapped in bacon, stuffed with herb cheese and garlic. Its mouth wateringly delicious. Other dishes on the menu include rapid rise French bread, shrimp and crab crepes, garlic shrimp and chocolate cobbler. The restaurant remains open the entire week except Tuesdays, and is a good option for vegetarians and healthy eaters with additional dishes like vegetarian spring rolls and sole meuniere. Around the restaurant are other venues like Hotel de ville and the Marais that are also worth a visit. Be warned that reservations need to be made well in advance so get booking early. For more information call 33 (0) 1 44 78 47 99. This is a historical restaurant that has cut a niche for itself in French cooking. It specializes in French traditional cuisine like bistro salads and pork chops. Located at 51, quaides Grands Augustins, it further incorporates smoking rooms for the smokers and private rooms can also be arranged for. Located in a historical building, it is appealing to any couples who appreciate a little history and architecture. This restaurant presents an extra beautiful dining room. It combines a touch of modernity with contemporary colors and fabric. The tall windows open to the amazing spectacle of de la concorde. The top chef Chris Hache bears a wealth of culinary experiences from a tender age and always puts together memorable dishes. The menu combines a modern touch and light cuisine presented artistically and also includes some vegetarian dishes. For more information go to www.gayot.com/restaurants/les-ambassadeurs. The mentioned above are just some of the most romantic restaurants in Paris that anyone going should look out for. Their class and elegance is unmatched and always a pleasure. So pick well and make it a night to remember!